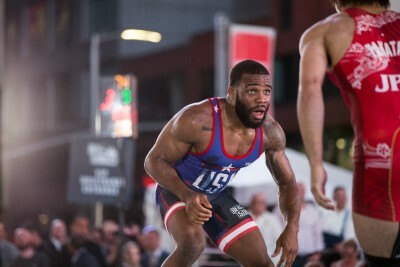 NEW YORK–Two of the most decorated and well-known recent Olympic wrestlers will square off for the first time as 2012 Gold Medalist Jordan Burroughs takes on 2008 Olympian Ben Askren as part of the 10th annual "Grapple at the Garden" Beat the Streets (BTS) benefit at Hulu Theater at Madison Square Garden on May 6. Burroughs, who has competed at numerous past BTS events, will battle Askren, who has parlayed his wresting talents into a strong mixed martial arts career in the UFC and other promotions, at 74kg in the highly-anticipated matchup. "Grapple at the Garden" supports Beat the Streets, the largest grassroots inner city wrestling program in the United States, serving as both a fundraiser for the organization and to celebrate its athletes as they compete on the biggest stage in the center of the world. Burroughs, a four-time World freestyle champion (2011, 2014, 2015, 2017), has won eight consecutive BTS benefit matches, downing fellow Olympian Frank Chamizolast year in a thrilling, come-from-behind 8-5 verdict in the main event Supermatch. Burroughs was a three-time All-American at Nebraska, winning two NCAA titles. The Sicklerville, N.J., native also competed at the 2016 Olympics in Rio but did not medal. 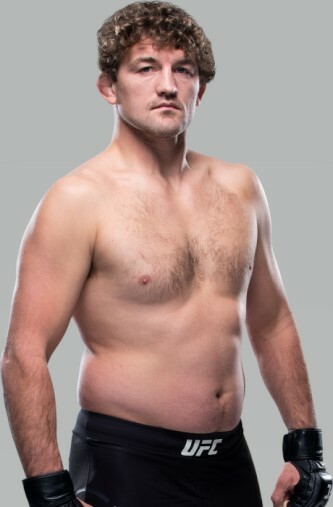 Askren, who went 1-1 but didn't medal in his lone Olympic appearance, was a four-time NCAA finalist at Missouri, winning the crowns in 2006 and 2007. His MMA career has included wins in his first 19 matches, most recently at UFC 235 last month. He has fought for several other promotions, primarily One Championship and Bellator, in amassing his perfect record. "Jordan Burroughs is a great champion who has been a great supporter of Beat the Streets for years, and Ben Askren has made a name for himself with his outsize talent and personality to match," said Beat the Streets Executive Director Brendan Buckley. "This is a match that many fans have been hoping for, and we couldn't be more excited to bring them together in a way that will benefit our BTS kids on what is shaping up to be a huge night of wrestling at Hulu Theater." The news follows last week's first announced main event bout, between New Jersey nativesJames Green (Willingboro) and Anthony Ashnault (South Plainfield). Additional matchups in the Team USA vs. NCAA Champions main events will be announced in the coming weeks. Those will be preceded by several youth matches, with one previously announced: a battle of local State Champions in Jo Jo Aragona (Pope John XXIII HS/New Jersey) vs. Adam Busiello (Eastport-South Manor HS/New York). Tickets for the evening's action are available now via TicketMaster, priced starting at $30 athttps://www.ticketmaster.com/event/3B005668AA091B69. A variety of donation packages which include "Grapple in the Garden" tickets are also available athttps://www.btsny.org/bts-events or by emailing molalde@btsny.org, beginning at $1000. Doors open on May 6 at 5:30 p.m., with the main event starting at 6 p.m. Beat the Streets, Inc. will invite select members of the 2018 U.S. Men's Freestyle World Team, which placed second in the 2018 World Championships and won seven World medals, as well as select top USA women's wrestlers.